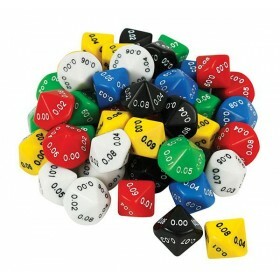 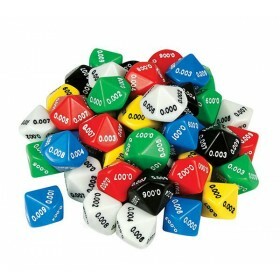 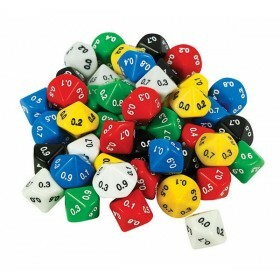 One-hundred games built around ten-sided dice, marked 0-9, and "decade dice," marked in tens from 00-90.
while "thought provokers" for class discussion and mathematics journals encourage kids (and teachers!) 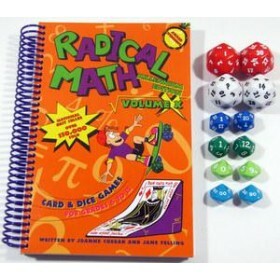 to investigate their mathematics learning deeper. 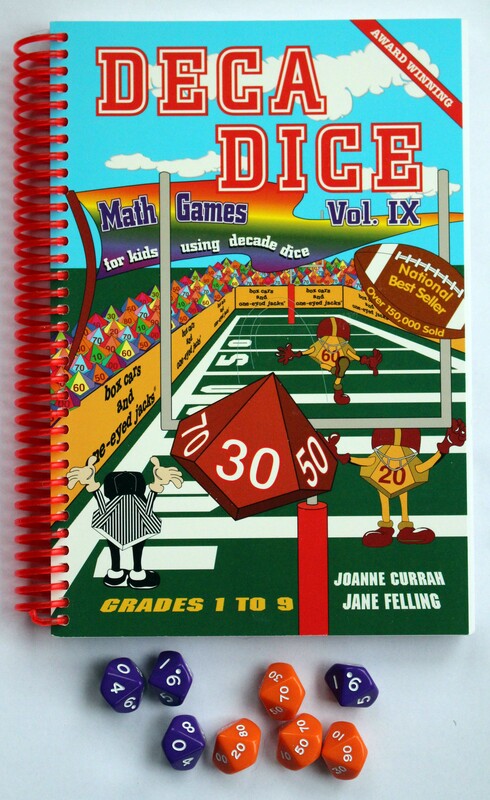 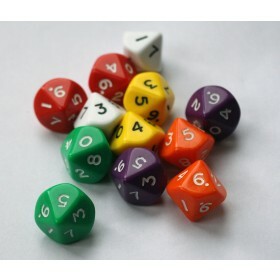 Comes with four 0-9 dice and four 00-90 decade dice.